Grand Manan is the largest island in the Bay of Fundy, and is the primary island in the Grand Manan Archipelago. This Canadian island, lies only 15 km, (9 miles) from Lubec, ME (the easternmost point in the US)and an a hour and a half ferry ride from Black Harbour NB. It is 34 km (16 miles long) and 18 km ( 11 miles wide). Grand Manan has a fascinating geological history and because of it is hoe to 336 bird species, a attracts birders from around the world The Grand Manan Museum has an outstanding exhibit of mounted bird specimens, and Rock Specifies as well as historical exhibits. Grand Manan Island has all the necessary amenities for your grocers, gas and medical needs while on the island. Because of the fertile fishing grounds around Grand Manan, the Maliseet-Passamaquoddy-Penobscot Indians were the first seasonal residents and the first year-round settlements of white people were established in the late 18th century. 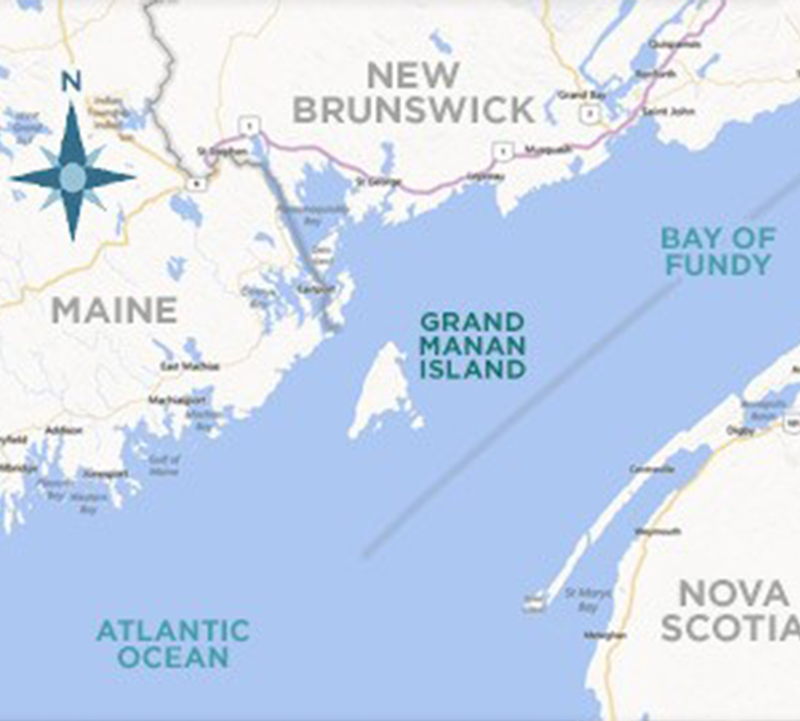 Eventually, Grand Manan evolved into an island community with 5 main villages, each with its own history and local pride that is still evident today,though consolidation took place in 1995. Fishing and fishing related industries have long supported the island and today as always, the pulse of the island is set by the tides. Summer residents have long frequented Grand Manan and many seasonal artists, writers, and outdoor enthusiasts among others have made this their source of inspiration. The spectacular natural environment is complimented by a broad range of yearly special events.